Did you know that April is National Poetry Month? It is! To celebrate, I have been combining my love of Disney and education together at The Disney Driven Life. First I wrote about acrostic poetry, and now cinquain. Do you know how to write a cinquain poem? It is really fun and easy. My son even helped write one for my article. 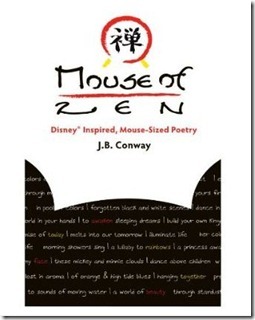 Yes, a member of the Disney Driven Life team has published a book of Disney inspired haiku. More details about that in my cinquain article. So what is your favorite type of poem? Please let me know and be sure to stop by the DDL to say hello and share one of your own poems.